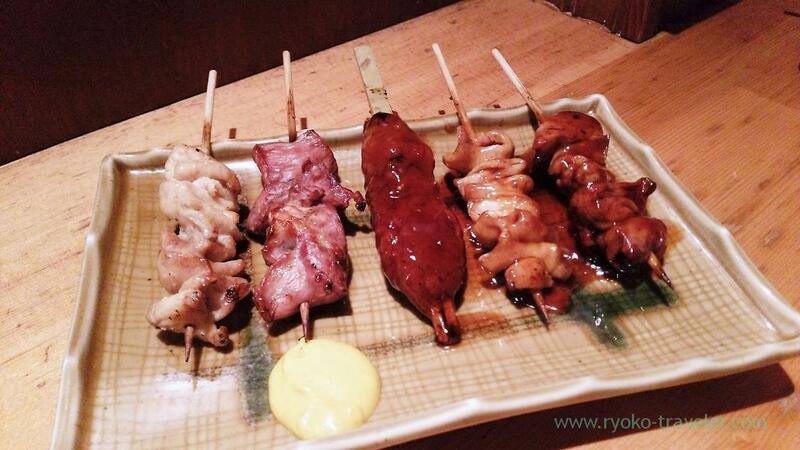 Yamariki is popular as pork giblet, but that is not all ! 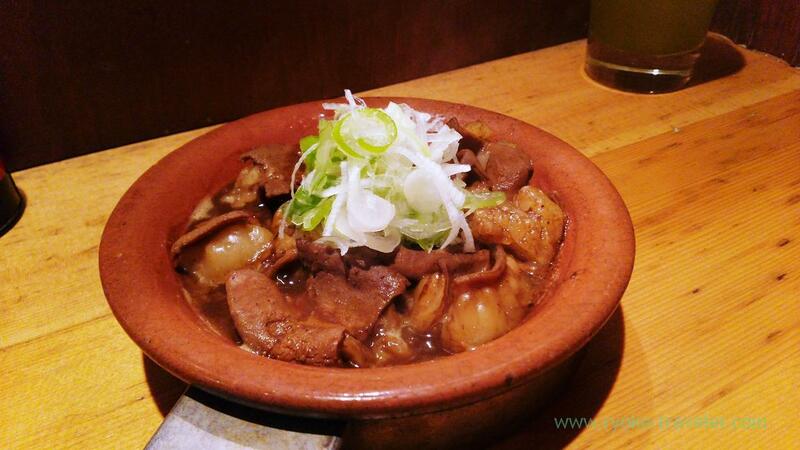 Yamariki Honkan in front of Morishita station is too popular izakaya. The seats are so narrow. And we can’t reserve past 6 p.m.
Their specialty is pork giblet. Putting it with boiled egg on the garlic baquette is popular way to eat it. 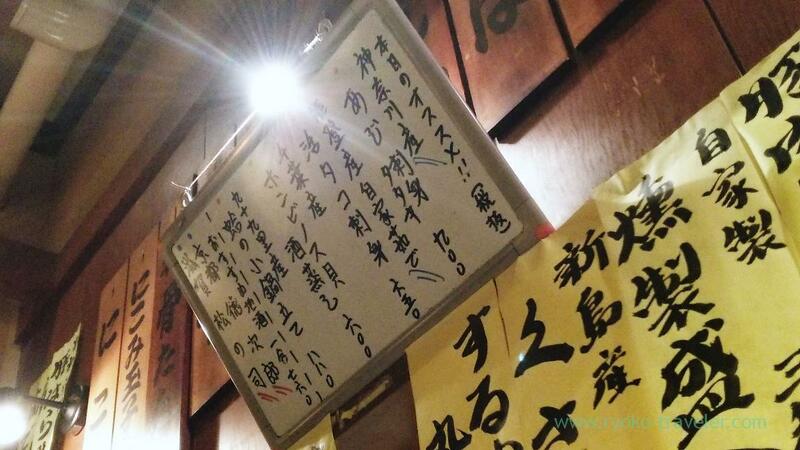 But we learned that eating it with egg, with garlic baquette, then we’ll be full soon last time, so we order just nikomi. 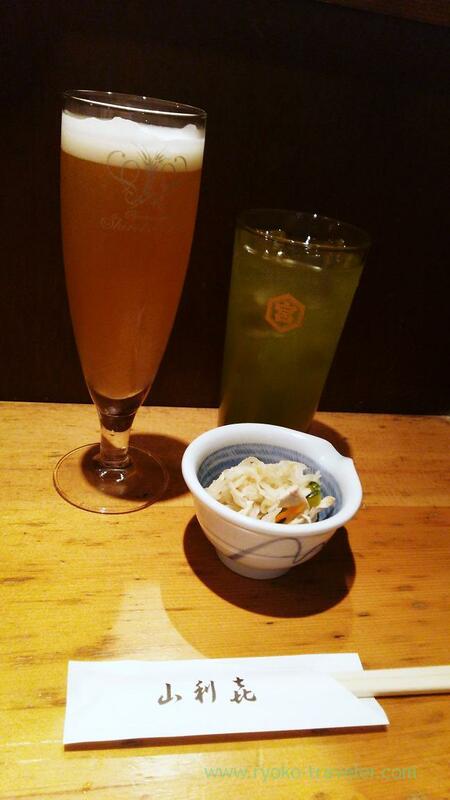 Yamariki says it also go with red wine, but I ordered beer named Premium white wheat-beer Shiro-honoka (白穂の香, 530 yen). Well, I ordered it last time, too. 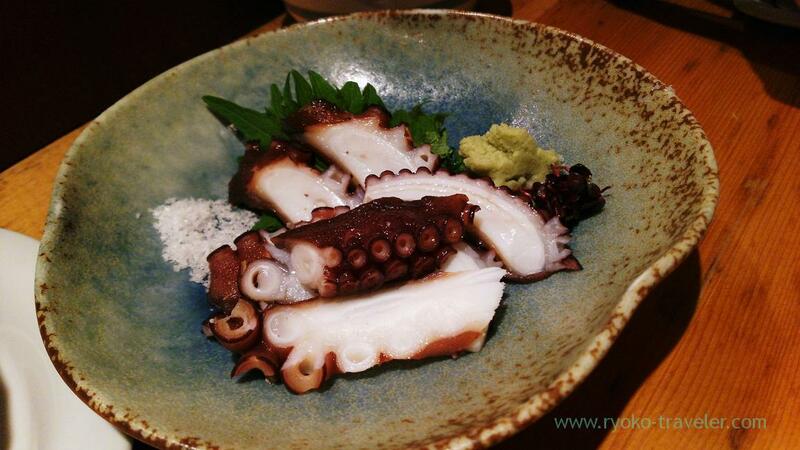 Octopus (活タコ刺身, 650 yen) and horse mackerel sashimi (アジ刺身, 900 yen). 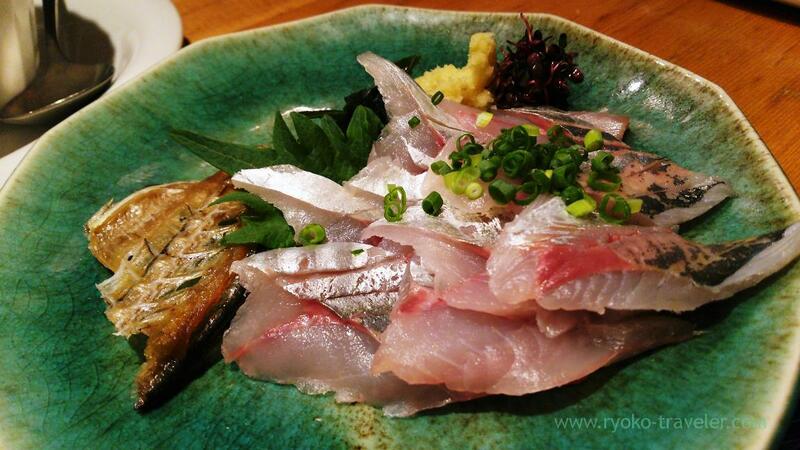 Vinegared mackerel we ate last time tasted good, too ! 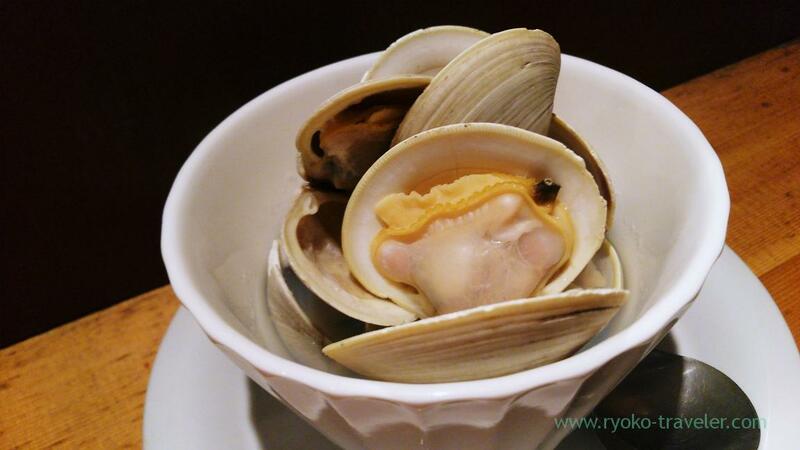 And, steamed hard clam with Japanese sake (ホンビノス貝の酒蒸し, 600 yen). Is it from Chiba ? I think it is from my hometown. 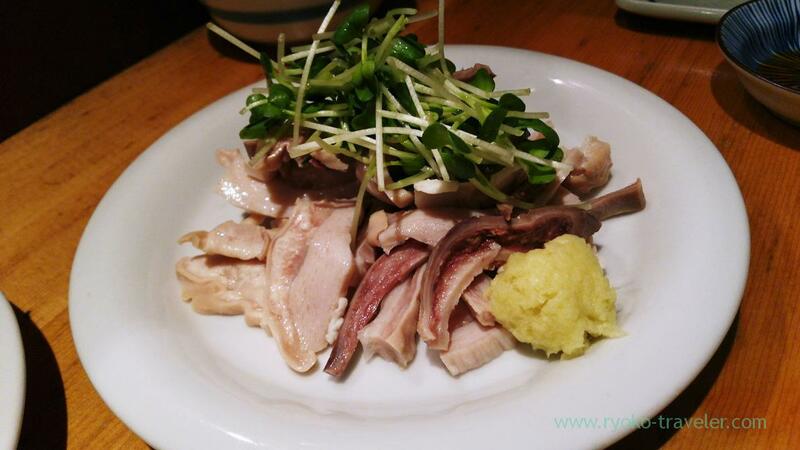 Lots of hard clam served around Kanto region from Chiba. 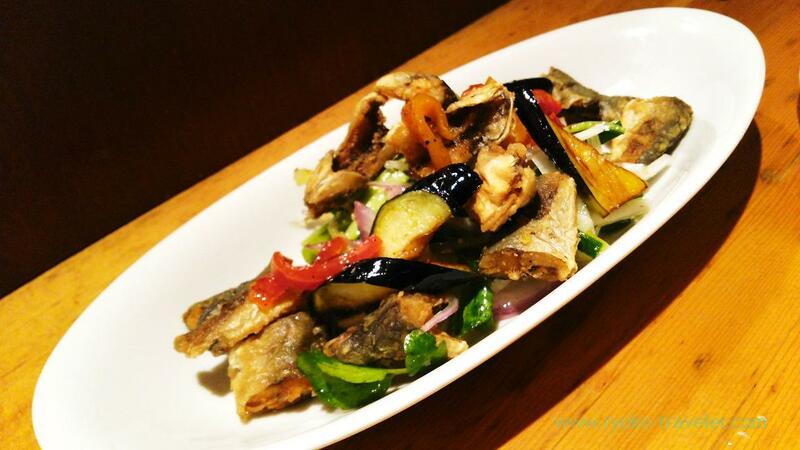 Good descision to select some foods from today’s recommendation ! We ate yakiton as last. Our dinner started with giblet and ended giblets even though they serve good seafood because their specialty is pork giblet !